Millions of Californians and many others around the world plan to drop, cover and hold on in an annual drill aimed at keeping them safe during the violent shaking of earthquakes. 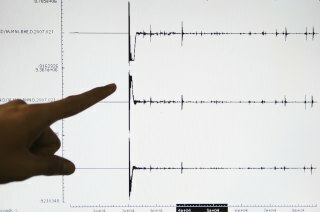 Organizers say 10.2 million people are registered to take part in the "Great California ShakeOut" at 10:19 a.m. Thursday. Participants include more than 6 million K-12 students and nearly 2 million people at colleges and universities as well as governments, businesses, faith-based organizations and individuals. An additional 42 million people have registered for other ShakeOut drills across the United States and its territories as well as in British Columbia to Japan, Italy and New Zealand. The ShakeOut drills originated in California in 2008.